It was being speculated that Tata Motors has been working on collaborating with Volkswagen Group for its future products and now there is confirmation of the same. Tata Motors has signed a Memorandum of Understanding (MoU) with Volkswagen Group and Skoda to jointly develop future products. 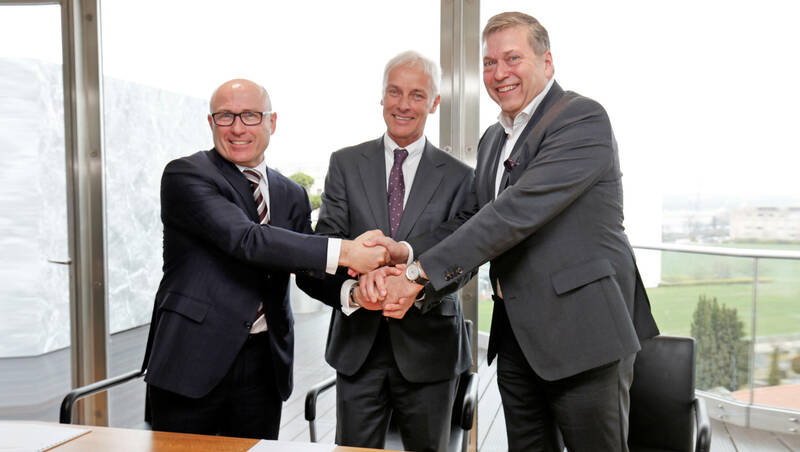 The agreement has been signed by Guenter Butschek, CEO and MD, Tata Motors; Matthias Mueller, CEO, Volkswagen AG and Bernhard Maier, CEO, Skoda Auto. "The document lays down the scope and objectives in order to reach agreement on the modalities and terms of a long-term cooperation in identified areas of partnership. Skoda Auto will take the lead on behalf of the Volkswagen Group to drive forward work towards development of vehicle concepts in the economy segment," stated the company release. Skoda, representing the Volkswagen Group along with Tata Motors, will be putting out the guidelines of the partnership in the next few months. And the first set of products from the newly formed alliance will roll out in 2019. The alliance will not only help tackle domestic but also target export markets. The partnership will also share value chain activities which include outsourcing and distribution as well as sharing sales network. 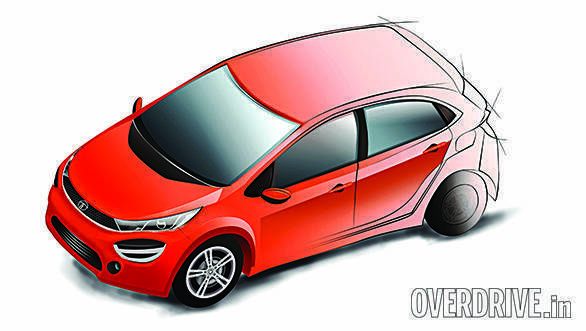 While more details on the alliance will be out in sometime, we believe Tata Motors will share its newly developed AMP (advanced modular platform) that underpins the company's upcoming premium hatch to rival the likes of the Maruti Suzuki Baleno. The Indian car manufacturer might also benefit from the Volkswagen's electrical architecture. Additionally, there is a possibility of Tata Motors using VW's MQB platform. Details of these are sketchy for now. Guenter Butschek, CEO and managing director, Tata Motors, commented, "We strongly believe that both the companies, by working together, can leverage from each other's strengths to create synergies and develop smart innovative solutions for the Indian and overseas markets. This is in alignment with Tata Motors' efforts to make itself 'FutuReady' by embracing new technologies, fostering higher platform efficiency and offering solutions that connect with the aspirations of our customers."